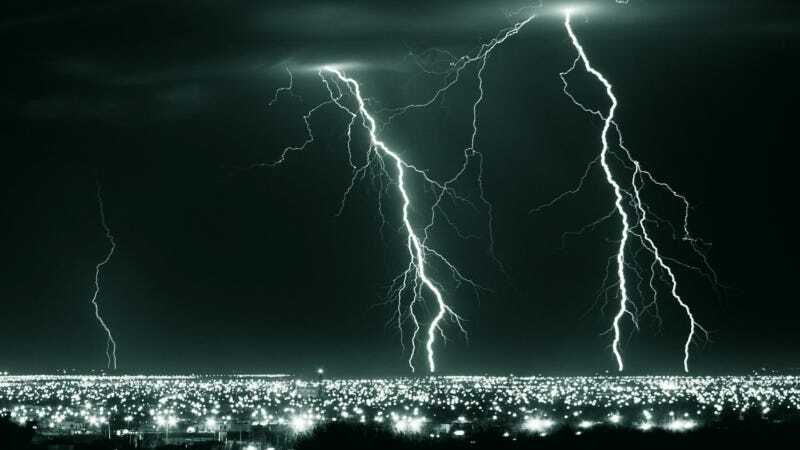 A new study published today by the National Weather Service is loaded with statistics on lightning deaths in the United States. For instance: did you know most lightning deaths occur during what is deemed "leisure activity?" Or that 82% of people killed by lightning are male? Regarding leisure activities, you'll probably be surprised to hear that golf, in fact, accounted for surprisingly few lighting deaths, with a total of just 8 fatalities between 2006 and 2012. Surprisingly few, at least (what with the holding a metal rod in the air), in relation to bike riding (10 deaths), soccer (12 deaths), camping (15 deaths) or fishing, which was the clear front-runner with 26 recorded deaths. Possible explanations for [male fatalities far exceeding female fatalities] are that males are unaware of all the dangers associated with lightning, are more likely to be in vulnerable situations, are unwilling to be inconvenienced by the threat of lightning, are in situations that make it difficult to get to a safe place in a timely manner, don't react quickly to the lightning threat, or any combination of these explanations. NOAA, in so many words: "Men are idiots." July, which is easily the best of the Summer months, is also the deadliest, as measured by lightning-deaths. Soccer: deadlier than golf ™. All work (and daily routine) and no play makes for fewer lightning-deaths.